Open the door to precision multi-shot applications. 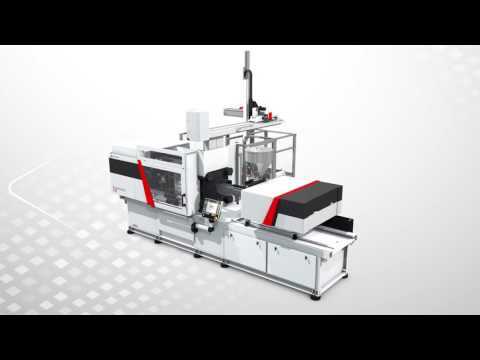 E-Multi easily and economically converts any existing Injection Molding Machine to allow multi-shot capabilities. The successful E-Multi platform offers proven precision, repeatability, versatility and reliability. Compatible with a wide range of thermoplastic materials, E-Multi is the ideal solution for a wide range of applications across any industry. High precision, fast, repeatable and reliable performance. Suitable for high tolerance applications. Program up to 10 injection profiles and holding pressures. Statistical process and production tracking. Vertical, horizontal and custom mounting options. Can adapt to many requirements. Save up to 100ft² (9.3m²) of space compared to alternatives. Vertical installations virtually eliminate any footprint. Can be installed on ANY Injection Molding Machine. Seamless operation via IMM interface. Viable for clean room applications. Fully featured unit with advanced capabilities. Provides complete process control and flexibility. Option to easily integrate additional functionality. More info.